When farmer Darvin Bentlage surveyed his southwestern Missouri soybean fields in August, he knew something was amiss in one of them. “I’ve been looking at soybeans for about 60 years, and these didn’t look right,” he says. 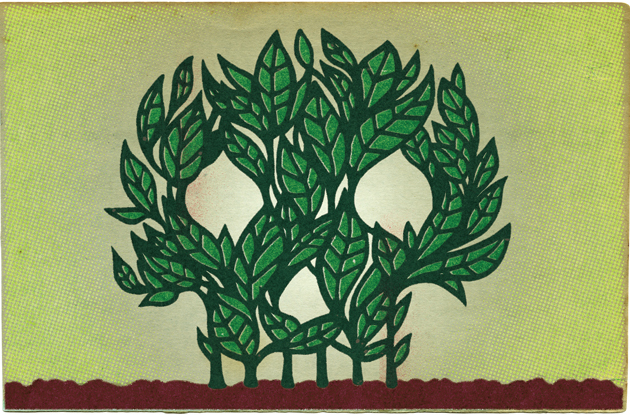 The plants’ leaves had shriveled upward, taking the shape of little cups: a telltale sign they’d been exposed to dicamba—a potent herbicide that Bentlage does not use. It had wafted onto his farm from his neighbors’ fields. By mid-October, state departments of agriculture nationwide had received 2,708 complaints from soybean farmers who claimed their fields had been damaged by wayward dicamba. Bentlage is hardly alone. By mid-October, state departments of agriculture nationwide had received 2,708 complaints from soybean farmers who claimed their fields had been damaged by wayward dicamba. Some 3.6 million acres had been affected, an unprecedented case of herbicides gone rogue. The Missouri, Arkansas, and Tennessee agriculture departments all temporarily restricted or banned dicamba (several more states will do so in 2018), and farmers launched at least four class-action suits demanding restitution from dicamba-makers. The company at the center of the firestorm was Monsanto—which in October struck back with its own lawsuit, seeking to halt an Arkansas regulation that limits dicamba use. This spring, the dicamba wars will likely intensify. What gives? Back in 2016, the seed and pesticide giant rolled out soybeans genetically engineered to withstand not one but two herbicides: glyphosate, branded as Roundup, and dicamba. It was a blockbuster: By the summer of 2017, 20 million acres—nearly a quarter of US soybeans, and more than 6 percent of all US land devoted to crops—were covered with Monsanto’s novel soybeans. In October, company executives hailed the debut as a “tremendous success” and told investors they hoped the product would conquer two-thirds of the US soybean crop. If Monsanto hits those growth targets, it will add up to $350 million in revenue within just two years. Hit any crop with a fatal dose of the same poison year in and year out, and most plants will promptly die. And investors can bank on precedent. Back in the late ’90s, Monsanto released corn and soybeans—the two crops that cover about half of US farmland—that had been genetically tweaked to tolerate Roundup. The pitch: Spray Monsanto’s wonder chemical and all those pesky weeds will vanish, leaving the genetically modified crops to flourish. By 1999, more than half of US soybean plantings were “Roundup Ready.” Ten years later, herbicide-resistant seeds had spread to 91 percent of soybean plantings and 68 percent of corn. There was just one big Darwinian problem. Hit any crop with a fatal dose of the same poison year in and year out, and most plants will promptly die. But a few genetic freaks will survive, passing the trait to offspring—ultimately allowing resistance genes to proliferate. Predictably, a plague of Roundup-resistant weeds swept through farm country, so in 2016 Monsanto introduced Roundup Ready 2 Xtend soybeans, designed to fend off not just Roundup, but also dicamba, an older, more toxic herbicide. And scientists expect dicamba resistance to rise. But the more urgent problem is that unlike glyphosate, dicamba is volatile. That is, after it has been applied, it’s prone to convert into a gas and be carried on the wind to nearby fields. In addition to soybeans, vineyards, home gardens, and oak forests have been hit by dicamba drift. The damage was “too uniform to be explained by anything else,” a weed scientist says. In early November, Environmental Protection Agency officials warned in a meeting with herbicide-makers that they could lose dicamba approval if their products continued to damage crops. And Bradley says growers might spray less dicamba in 2018 to avoid trouble with their neighbors. But on the flip side, more farmers may buy the double-resistant seeds, to protect themselves from dicamba. Indeed, Bentlage says, one seed dealer recently hit him with this pitch: “You might as well buy some dicamba seeds. You know your neighbor’s gonna spray it—you might as well buy it, too, to keep from getting damaged.” In other words: Nice little soybean crop you have there; be a shame if something bad happened to it.